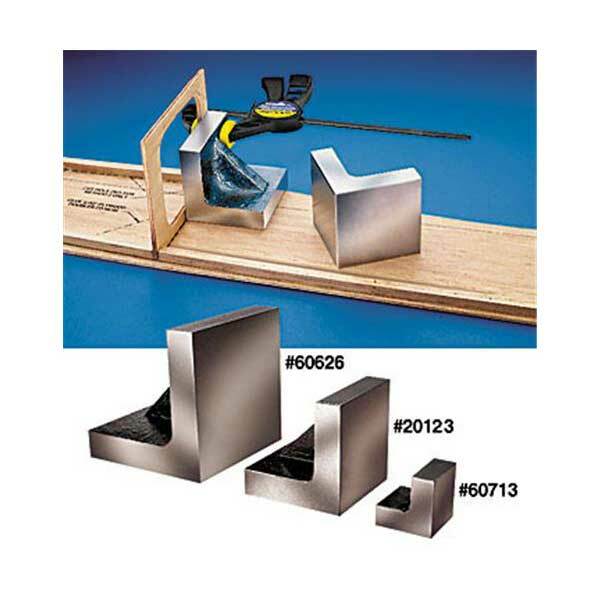 Use these hard-to-find tools whenever you want to join or hold two parts edge-to-edge or edge-to-surface at a 90 degree angle. Also used to square up table saw, drill press or disk sander tables. Precision cast with machined faces and edges. Set includes one of each size: 1 x 1 x 1, 2 x 2 x 2 and 3 x 3 x 3 inches.